1. Combine bread, water and tomato sauce into a homogenous mixture. Add garlic, Worcestershire, salt and pepper. Gently combine with the beef. Portion into four equal patties. 2. Move oven rack to highest position and preheat the broiler for 15 minutes. 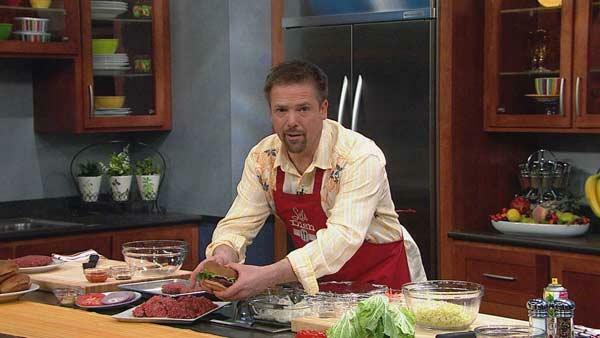 Season burgers lightly with pepper on both sides. Broil until done to your liking, approximately 2 minutes per side for medium-rare.